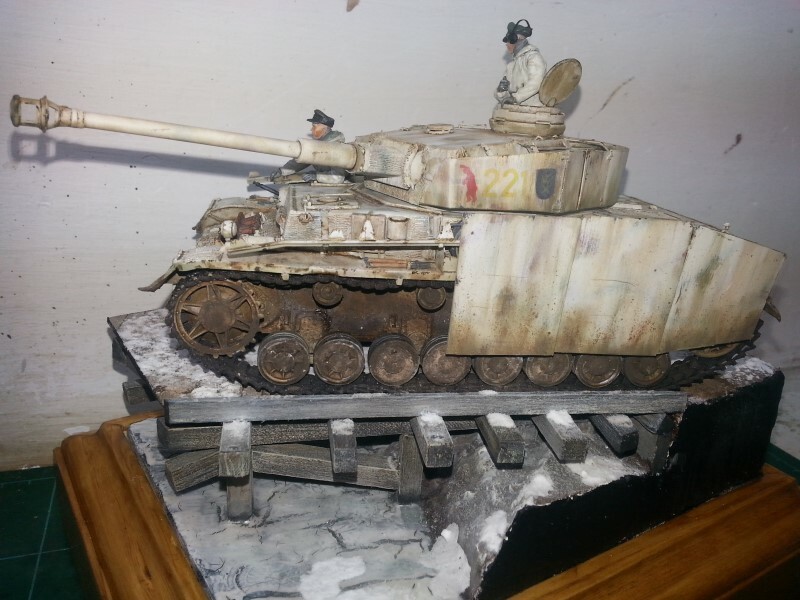 Panzer IV rescued from the scrap heap, given a new scheme and returned to the front line. 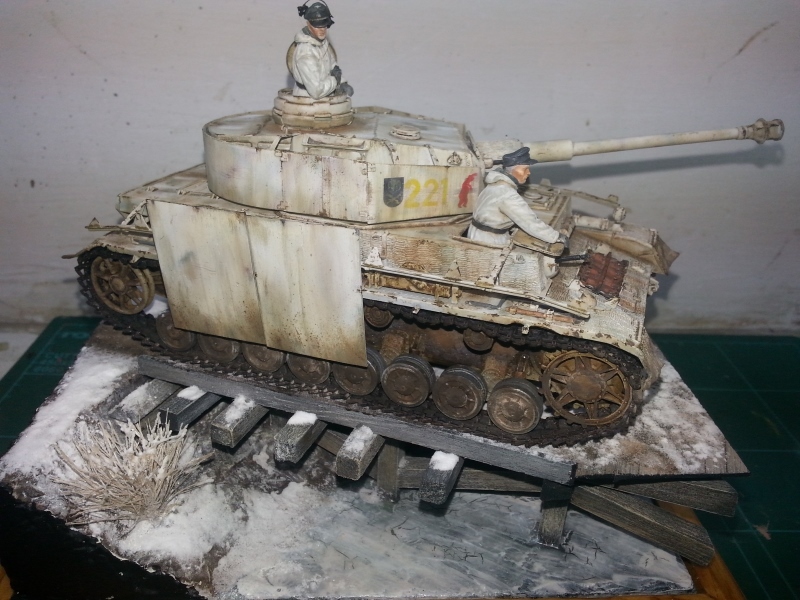 An abandoned project had left me with two PzIV's finished the obsolete Verlinden way - a turned barrel and separate tracks plus a little detailing, new schurzen and a new respray complete with white wash turned out one of them to a more presentable condition. Great work. It is a great move and you changed the model completely. Love it and also the setting. Well done!! bcauchi wrote: Great work. It is a great move and you changed the model completely. Love it and also the setting. Well done!! Thanks Brian, would have been a shame to throw away a model after doing all that extra work on it. You did a great job saw this yesterday at the Club & even if the pics are great (not like mine ) it looked fantastic "in the flesh"
Ray wrote: You did a great job saw this yesterday at the Club & even if the pics are great (not like mine ) it looked fantastic "in the flesh"
i think that it would be a great idea. I saw the tank and the club last week but no base. The base sure set it off, well done. 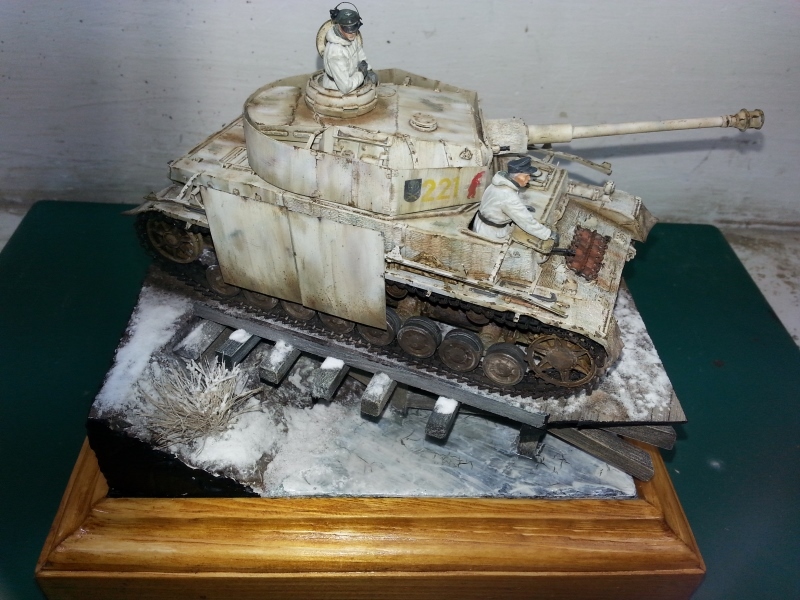 Like it Marco, I love how you manage to bring up old hags to such a standard ... re mud I do not agree to add more, I would rather apply some gloss varnish to create some 'fresh' mud and some snow ... do not go overboard we get carried away that in snowwy climates the tanks manage to earth out mud, it is completly the opposite, when the snow is still in its early stages or melting away we get that effect, mid winter would be just a white field! Looks very good . even on photos , saw it at the club ..you made a god job..
skyhigh wrote: Looks very good . even on photos , saw it at the club ..you made a god job..
i agree with ivan on this one. frozen ground is as hard as rock and will not churn up much mud.just give it some wet effect.